In the Fall of 2009 I was traveling cross-country and spent the night at the Country Inn & Suites in Columbus, Ohio. I was given room #215 and thought of Joel 2:15 - blow the trumpet in Zion. I said to my family, “I wonder if there there will be some kind of trumpet or alarm sounded in the spirit tonight? !” Sure enough, a few hours later we were jolted awake by the hotel’s radio alarm clock that was blaring unexpectedly at 1:09 AM. At that moment I heard in my spirit, “10/9 Lou’s birthday!” As with most signs and wonders, I was left to wonder, “If this is a sign, then what does it mean?” In reality, Lou’s birthday is on 10/9, but what I didn’t know was that several years later Columbus Day would also fall on October 9th and we’d be holding a Joel 2 solemn assembly in Washington, DC to birth the promised revival for which Lou has labored for years. I also couldn’t have guessed that this gathering would be followed by another Joel 2 assembly in none other than Columbus, Ohio! I realize now that this curious wake-up call over nine years ago was a sign to me, and perhaps now to you as well, to NOT MISS THE MOMENT WE ARE IN RIGHT NOW! With that said, I’m excited and sobered to present to you the following “Issachar word” from Lou Engle that not only identifies the times but also gives clear insight into what we are to do. Years ago, in the 90’s, I experienced a prophetic swirl that I believe is pointing to a specific time of fulfillment. I woke up one morning with an intense desire to read two books that were very dear to me: Rain From Heaven by Arthur Wallis, the father of the Charismatic Movement in England, and Shaping History Through Prayer And Fasting, by Derek Prince. The catalyst of that desire was a specific chapter in Shaping History, titled “Fasting Precipitates the Latter Rain”. I looked feverishly for those two books but I had either lost them or given them away. For a whole day I experienced groanings of the Spirit, praying that I might find those books. I wanted confirmation that a movement of fasting would precede the latter rain revival. God does not bring these kinds of whirlwinds simply to entertain us. He was shouting: “There’s coming a time for the outpouring of the latter rain and you must pray and fast to give birth to it!” The scripture commands us in Zechariah 10:1, “pray for the rain in the time of the latter rain” but how do we know when it’s time? Joel chapter 2 gives us the paradigm for recognizing these times and seasons. Joel’s prophecy is set in the context of the utter destruction of the economic system of Israel due to the nation’s spiritual apostasy. The prophet gives God’s prescription to the crisis: he calls for united fasting and prayer, after which he promises the restoration of the land of Israel and the outpouring of the latter rain of the Holy Spirit on all flesh, i.e. the Gentile nations. By these two things - the outpourings of the Holy Spirit among the Gentiles and significant happenings concerning the state of Israel - we know we are in the time for Joel 2 fastings. Historically, in 1948, the Holy Spirit was poured out in a movement called The Latter Rain. They had been fasting for three months in the winter of ‘47 and ’48, inspired by a book called Atomic Power With God, Through Prayer and Fasting that had become a catalyst for a worldwide fasting movement. The Spirit was poured out in early 1948 and they called it “The Latter Rain”. Also in 1948, we see the second dimension of fulfillment of Joel’s fast in which God says that He will restore the land, the grain, the oil and the new wine. This is exactly what happened in 1948 - Israel became a nation and the land was restored. 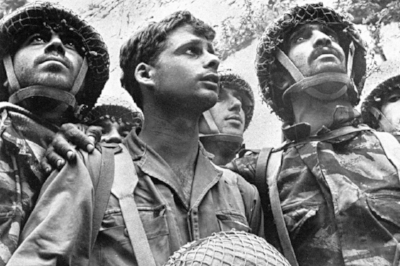 In a similar fashion, in 1967, Israel took back the entirety of Jerusalem in the Six Day War. For the first time since the destruction of the city in 70 AD, it was back in the hands of the Jewish people. In both ‘48 and ‘67 there were wars fought concerning these historic transactions. At the same time in 1967, the worldwide Charismatic Movement begins, the Jesus Movement was manifested, and Jews began to come to Christ in unprecedented numbers. Do you see it? Once again, Gentile outpourings and natural historic events taking place in the land of Israel flowed together. What is stunning is the cycle we find ourselves in now at the 70th anniversary of The Latter Rain outpouring and the 70th anniversary of Israel becoming a nation. Daniel, when he understood that 70 years was up for the desolations of Jerusalem, set himself to fasting and praying. Shortly afterwards, Cyrus, the new king, issued a decree for Jerusalem to be rebuilt and for the Jews to return to their land. It is my contention that we are now in a similar 70 year cycle and that Joel 2 must precede another outpouring and a significant transaction over Israel and Jerusalem. Right now significant events are brewing in this 70 year timeframe for Israel. President Trump, (possibly a modern-day Cyrus, as has been prophesied), has recently recognized Jerusalem as the capital of Israel and is moving the US embassy to that sacred city. Meanwhile, Muslim riots are taking place around the world because of it. This is a historic moment. On the other hand, much is yet hanging in the balance, as our president is affirming a two-state solution for Israel. We must not let this happen. It’s time to shape history with prayer and fasting. In 1976, I moved to Ashland Theological Seminary in Ashland, OH, not far from Columbus. There I made a vow that I would seek Acts 2 no matter what the cost. That vow sent me on the journey that I am now on - calling for Joel 2 gatherings of corporate fasting and prayer, believing for Acts 2 outpourings. I have to believe that TheCall has been a Joel 2 preparation for the fulfillment of my personal transaction with heaven. I’m still looking for Acts chapter 2. Last year, I spoke at Oral Roberts University on the subject of the 40-day fast. 70 years before, in 1947, Oral Roberts fasted for seven months and then the healing revival broke out. I was calling ORU to enter into the sacrifices and faith of their spiritual father. Months later, I was in Columbus, Ohio mobilizing for The Revival Man Tour in Cleveland (which took place in July) and The Revival Man gathering in Columbus coming on January 13, 2018. A young man came to me and said, “I was at that ORU gathering, Mr. Engle, and I was so moved that I wept and prayed for three hours at the chapel altar. Later that night, I had a dream that I was in Columbus, Ohio and I saw a fireplace and an angel stood before it with bellows fanning the embers into a great flame. The angel was crying ‘Joel 2 leads to Acts 2! Joel 2 leads to Acts 2!’” He dreamed the same dream three nights in a row and because of it, he moved to Columbus to pray for that Acts 2 fire. Columbus is now calling for a 40-day fasting January. Could this storyline indicate that we are in the season of Joel 2 to Acts 2 fulfillment with Columbus being a prophetic timepiece? In 2009, I was going into the woods to fast 40 days on water with three friends. The night before going I dreamed that my belly was being operated on. I awoke with this thought: “Is God desiring to operate on my appetites and make me a Daniel for the shifting of history?” In the middle of that fast a prophetic intercessor emailed me with a dream. In her dream she saw me fasting and lying down asleep. Five angels came into my bedroom, operated on my belly, (exactly what I had dreamed), took the book of Daniel, lit it on fire, and sealed it into my belly. The scene changed in the dream and all these young people were coming to me in shirts that said: “The Sons of Thunder”. Again, I wonder if that experience was pointing to this same season of fulfillment. In 1948 and ‘49, the great evangelists began to arise - men like Bill Bright and Billy Graham. I believe we are in the hour when Jesus the Evangelist is rising again and this 40-day fast, the Jesus fast, is preparing the way for a new Jesus Movement, for the latter rain outpourings and transitions in Israel. Pulling it all together, I am personally convinced that my early prophetic experience of receiving the two books is pointing to a present fulfillment of a fresh outpouring of the latter rain and a next step of restoration for the land of Israel. When Daniel knew it was his time, he set his face to fast. Revelation demands participation! Therefore, over the next several months into 2018, we are calling for 40-day seasons of fasting across the wider Body of Christ. Let’s contend for that fresh outpouring of His Spirit and for God’s restraining hand over the affairs of Jerusalem and Israel. Blow the trumpet in Zion! Call the fast!